Many work sites, whether within processing, manufacturing, construction or oil and gas, are contaminated by “sour gas”. 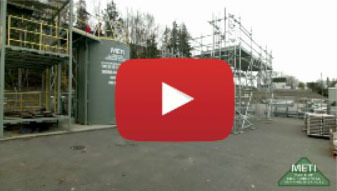 Take this H2S Alive Training Course – Enform with METI before you travel out west. 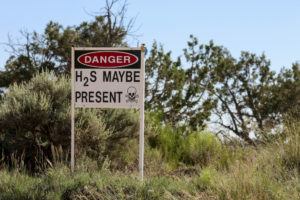 Hydrogen sulfide, with the chemical composition of H2S, is a clear gas that can cause great sickness at low-level exposure and death at high exposure either by amount or time. Hydrogen sulfide can be found naturally and in industrial settings. It is commonly found near refineries, oil and gas exploration facilities or drilling rigs, manure pits, bogs or swamps, hot springs, sewage treatment facilities and manholes, among others. If you or your workers are in a enclosed or semi-enclosed space around these natural or industrial areas, you should be trained. Upon completion of this H2S Alive Program, you will receive a wallet-size H2S Alive Ticket/Certificate, that will show prospective employers that you have the credentials. Employers may require confirmation of your H2S Alive Certificate. We keep your records on file permanently. Feel free to have your prospective employer contact METI to confirm your H2S Alive Certification. Respiratory Protective Equipment Training – RPE/APR/SCBA/Bottle Watch Gas Detection Training Nitrogen Safety Training Back to our Safety Training.